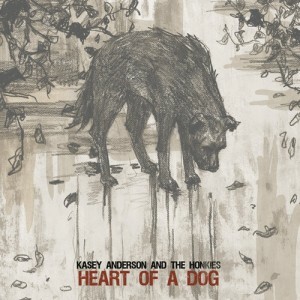 Our latest President can be heard on the upcoming Kasey Anderson and the Honkies album “Heart Of A Dog”. For the majority of the last eight months, I’ve been on tour, in some city that wasn’t my home. Occasionally, I would have three or four consecutive days in my own bed. On those days, some friends (Andrew McKeag, Julian MacDonough, and Sean Cronin) and I would meet up at Jordan Richter’s studio here in Portland (conveniently located ten blocks from my apartment) and work on some tunes. At some point, it became clear that those tunes were going to be a record. Heart of a Dog is that record. Every Friday for the next 11 weeks (October 1 – December 10), I’ll post a song from that record at heartofadog.com. Read rest of the press material here.